Join former American Evaluation Association president and renowned SAGE author Michael Quinn Patton as he discusses developments in qualitative evaluation. 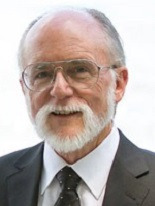 Drawing on more than 40 years of experience conducting applied social science research and program evaluation, Michael has crafted some of the most comprehensive and systematic texts on qualitative research and evaluation methods, inquiry frameworks, and analysis options available today. In this webinar, he presents his Top Ten Developments in Qualitative Evaluation Over the Last Decade and discusses how we can look ahead to other challenges and opportunities using these fundamental building blocks.